A great opportunity to get into this luxury sedan! Take advantage of the limited time APR offer*! *(2 or more avail. @this price) Vin#JN1EV7AR8KM559422, Stock#191038, Model #90419, 4dr AWD, 3.0L V6 Twin-Turbo, pwr/steer/ABS/windows/locks/AC, MSRP $41,295, Lease: $4,260 down pymnt+$339 1st mo pymnt+$0 sec.deposit+$700 bank fee+$598 doc fee. Total due @signing $5,897. $13,221 total pymnts/$21,060 purchase opt @lease end +$300 purchase opt. fee plus tax.Prices incl. all costs to be paid by a consumer except for licensing, registr. & taxes. Lease incl: 10K mi. per year/0.25 cents per mi. over. Lessee resp. for excess wear/tear. 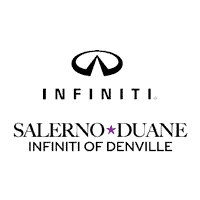 Subject to availability to well-qualified customers who finance their lease through INFINITI Financial Services, see dealer for details. All special leases include all manufacturers special offers, if applicable, see dealer for details. Photos for illustrative purposes only, photos may not accurately represent vehicles. Must take delivery from dealer stock. Not responsible for typos. Subject to change by manufacturer. 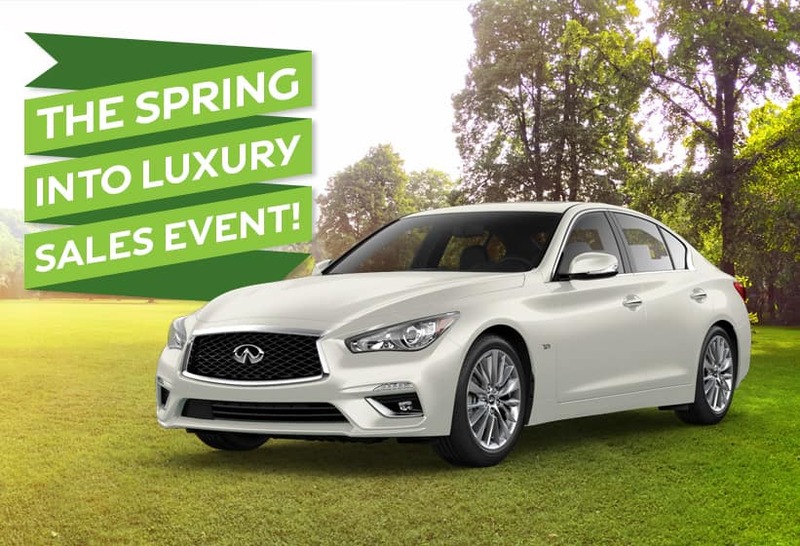 *1.9% APR APR financing for 72 months on new 2019 Q50 in dealer stock. $14.71 per month per $1,000 financed at 1.9% APR for 72 months, Down Payment may be required. Subject to Residency Restrictions. Subject to IFS credit approval. Not all buyers qualify. Dealer sets actual price. Offers expire 4/30/19. 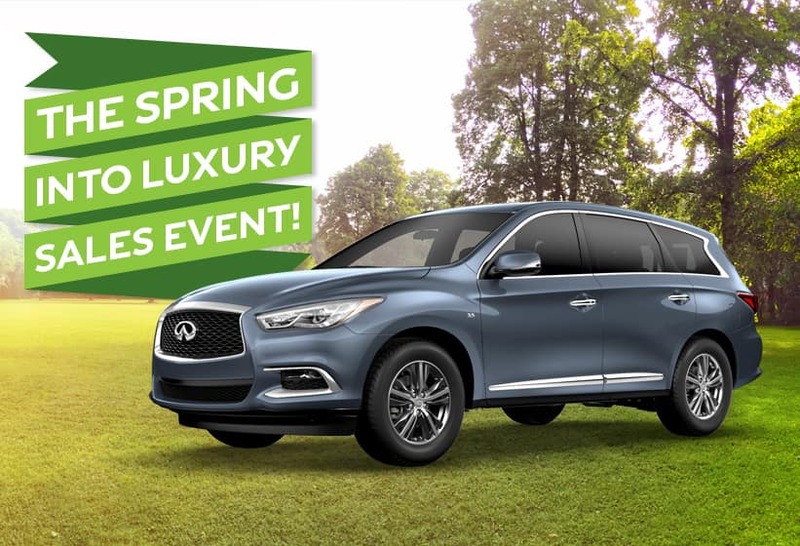 Drive home in this beautifully redesigned QX50, with features such as the world’s first production-ready Variable Compression Turbo engine, empowering ProPILOT Assist technology, and a driver-centric design. *(2 or more avail. @this price) Vin#3PCAJ5M36KF131442, Stock#19860, Model #81419, 4dr AWD, 3.0L V6 Twin-Turbo, pwr/steer/ABS/windows/locks/AC, MSRP $47,345, Lease: $3,970 down pymnt+$429 1st mo pymnt+$0 sec.deposit+$700 bank fee+$598 doc fee. Total due @signing $5,697. $16,731 total pymnts/$24,457 purchase opt @lease end +$300 purchase opt. fee plus tax.Prices incl. all costs to be paid by a consumer except for licensing, registr. & taxes. Lease incl: 10K mi. per year/0.25 cents per mi. over. Lessee resp. for excess wear/tear. Subject to availability to well-qualified customers who finance their lease through INFINITI Financial Services, see dealer for details. All special leases include all manufacturers special offers, if applicable, see dealer for details. Photos for illustrative purposes only, photos may not accurately represent vehicles. Must take delivery from dealer stock. Not responsible for typos. Subject to change by manufacturer. Offer expires 4/30/19. *(2 or more avail. @this price) Vin#5N1DL0MM2KC561030, Stock#191116, Model #84019 4dr AWD 7pass 3.5L V6, pwr/steer/ABS/windows/locks/AC, MSRP $48,845. Lease: $3,550 down pymnt+$449 1st mo pymnt+$0 sec.deposit+$700 bank fee+$598 doc fee. Total due @signing $5,297. $17,511 total pymnts/$26,376 purchase opt @lease end plus $300 purchase opt. fee plus tax. Prices incl. all costs to be paid by a consumer except for licensing, registr. & taxes. Lease incl: 10K mi. per year/0.25 cents per mi. over. Lessee resp. for excess wear/tear. 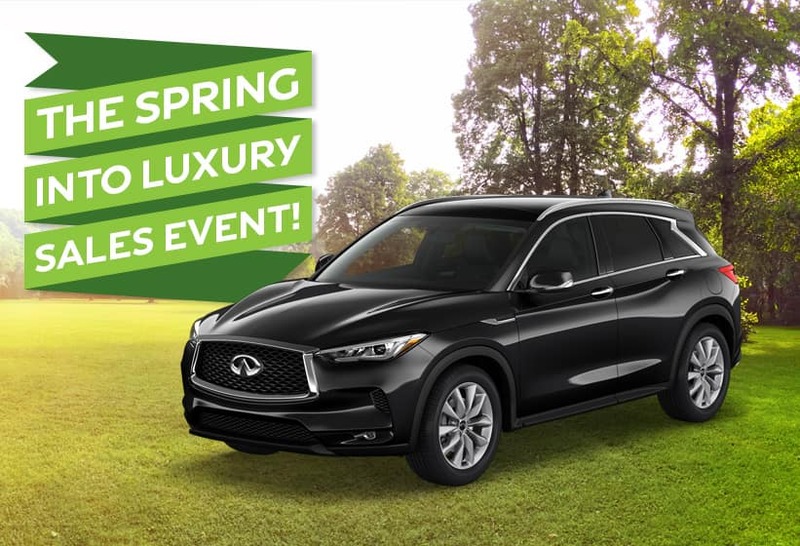 Subject to availability to well-qualified customers who finance their lease through INFINITI Financial Services, see dealer for details. All special leases include all manufacturers special offers, if applicable, see dealer for details. Photos for illustrative purposes only, photos may not accurately represent vehicles. Must take delivery from dealer stock. Not responsible for typos. Subject to change by manufacturer. Offer expires 4/30/19. Wrap yourself in the technology, safety, & luxury. Equipped with Cargo & All-Season Packages plus Roof Rails! *(2 or more avail. @this price) Vin#JN8AZ2NE5K9226371 Stock#19572, Model #83219, 4dr AWD 5.6L V8 , 7-spd. auto; pwr/steer/ABS/windows/locks/AC, MSRP$73,590. 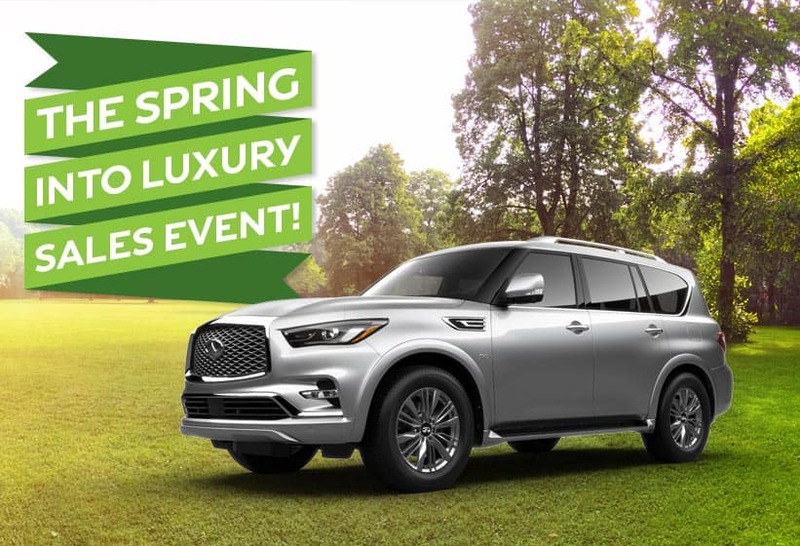 0.0% APR APR financing for 72 months on new 2019 QX80 in retailer stock. $13.89 per month per $1,000 financed at 0.0% for 72 months, Down Payment may be required. Subject to Residency Restrictions. Subject to INFINITI Financial Services credit approval. Not all buyers qualify. Retailer sets actual price. Ends 04/30/2019.